Essence is your chance to put yourself at the centre of the ultimate Western Suburbs lifestyle. From every angle, the views are spectacular. Apartments on the north east overlook Claremont On The Park. The western side overlooks Claremont’s Tennis Club, Lake and Golf Course. And to the south, you can gaze over Bay View Terrace towards the river. 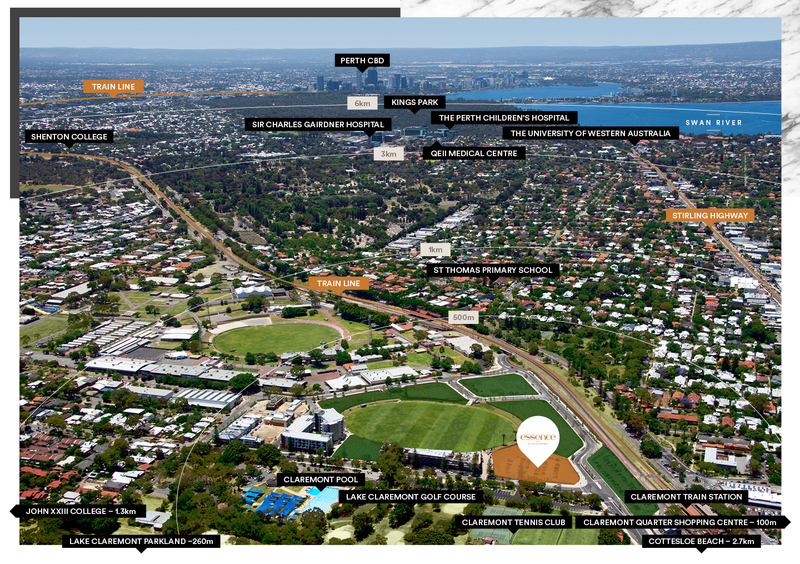 You are a 3 minute walk to Perth’s premier shopping precinct, Claremont Quarter. Claremont Pool, the Parkland and Train Station are mere metres away. And you’ll be able to walk home from Claremont’s bars and restaurants faster than you can drive. Scotch College, Methodist Ladies’ College, Christ Church Grammar and other leading private schools are minutes away, plus The University of Western Australia is just down the road. 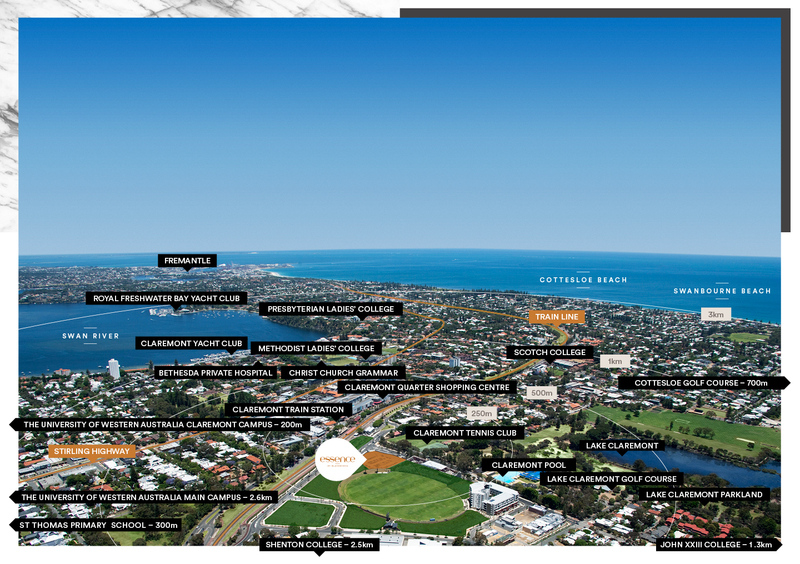 The iconic Cottesloe Beach is a 5 minute drive and the Swan River is a scenic 15 minute walk.